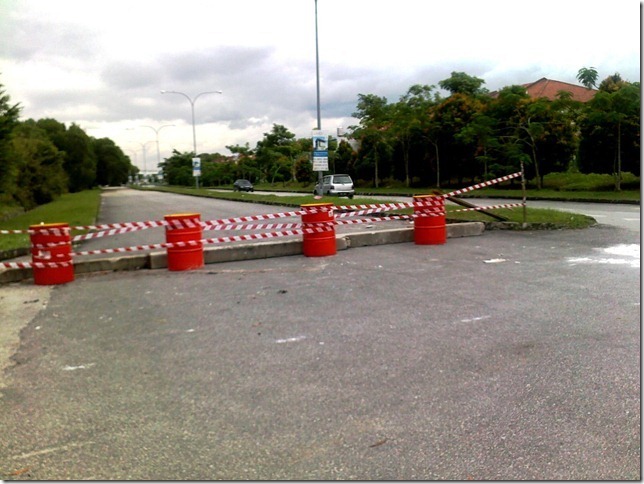 On 16Dec2011, Chairman Mr Kong had put up the red oil drums as barricade to the sunken road at his own cost. Chairman’s main priority is safety first to the resident, family & friends. On 15Nov2011, Committee Members ( Mr Kong KM, Jacky Goh, Dixon Wong and Chew HC) handed over the memorandum on Sunken Road Issue (Jalan Putra Prima Utara) to Selangor Senior Exco YB Teresa Kok for the highest level intervention from the state government, Hopefully the road will be repaired and open soon.